The Laughing Dog has cloned our favourite retro game characters and kidnapped the heroes. 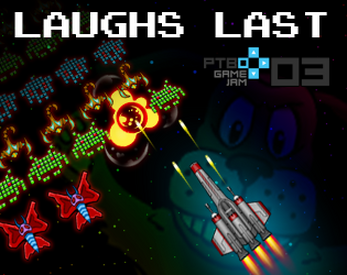 Rescue them all to have a chance to (finally) shoot the Laughing Dog. After download, unzip and launch to play. Unzip and run the app/exe. The game is great, the only problem i had was that i couldn't die. love the art, explosions, and sound.